Self-styled shareholder superman Carl Icahn says Barack Obama would be a "terrible" president, Bloomberg reports. 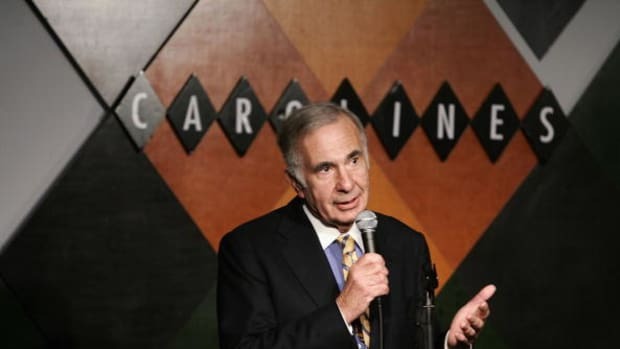 His election, backed by a filibuster proof majority in the Senate, would lead to runaway legislation, higher interest rates and accelerating inflation, Icahn told a conference of investors last night. "I don&apos;t normally get involved in politics, but this time I am," Icahn said. "I don&apos;t think Obama really understands economics." Does this mean Larry Kudlow was right? This news comes as a shock to 2008 Carl Icahn. It's hard out there for a fake Presidential candidate compiling his fantasy cabinet.